Kaine: Thank you for your support in 2014! We in Kaine would like to thank everyone who supported us throughout 2014 our biggest and most successful year as a band. The band played 53 shows throughout the course of the year across England, Scotland, Ireland & Northern Ireland with our final one coming on December 27th in Clacton. We have played with some great bands and met and made friends with so many people while on the road. This year we completed our first two tours the first tour which was in support of Monument’s Renegades album, in which Dan Mailer had the honour of standing in for ex: Bruce Dickinson & TANK bassist Chris Dale and we thank Monument for taking us out on the road for the first time and together we delivered a good package to audiences up and down the country. 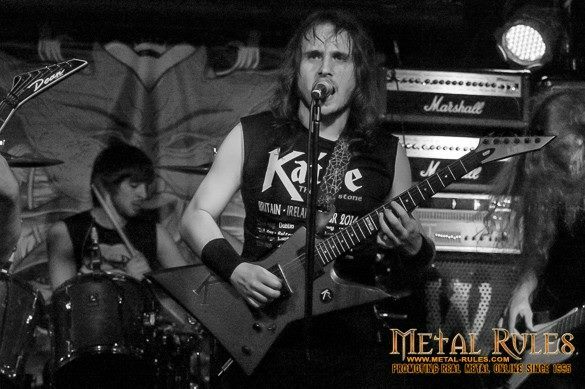 We thank James Balcombe (Osmium Guillotine/The Tickturds) for stepping in for Chris on drums for the final date of the tour. 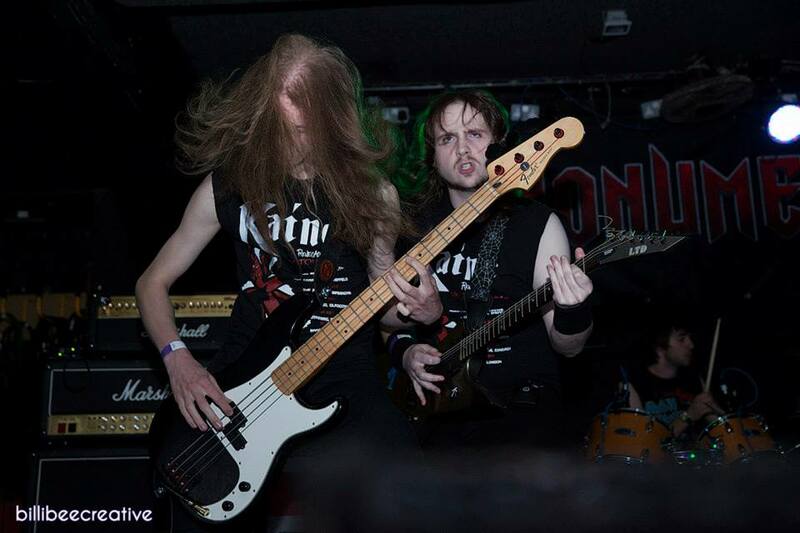 The second tour was the biggest thing we have ever done, stepping in for Furyon at the very last minute with 3 days’ notice to go on an o2 Academy Tour of Britain & Ireland. We are eternally grateful to Lee Farmery (drummer for Furyon) for not only asking us to do the tour but his support, insight and the running of everything from the merch to helping us load in and out with Big Kev (who did a lot of the driving which we are also very thankful for) every night. 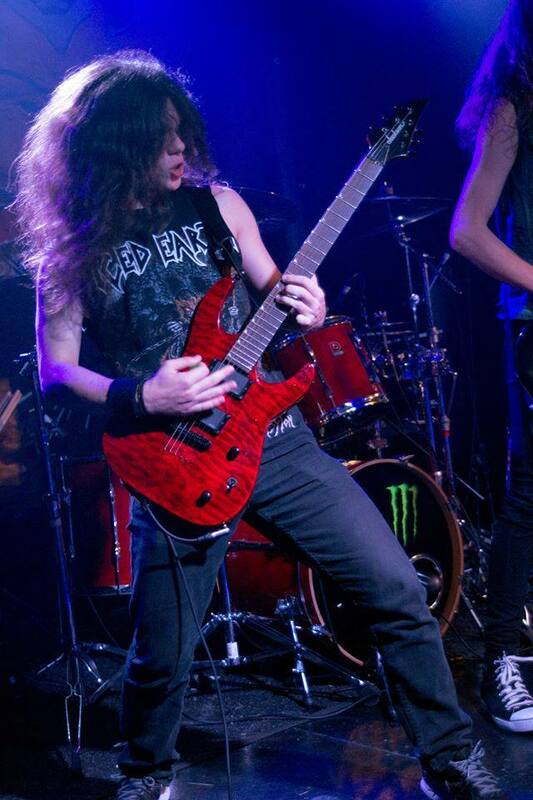 We also appreciate Matt Denny’s support and are honoured to have opened for Mordred who were not only a great band night after night but for treating us extremely well for making us feel a part of the family throughout the duration of the tour. It was a once in a lifetime experience and one we will never forget. 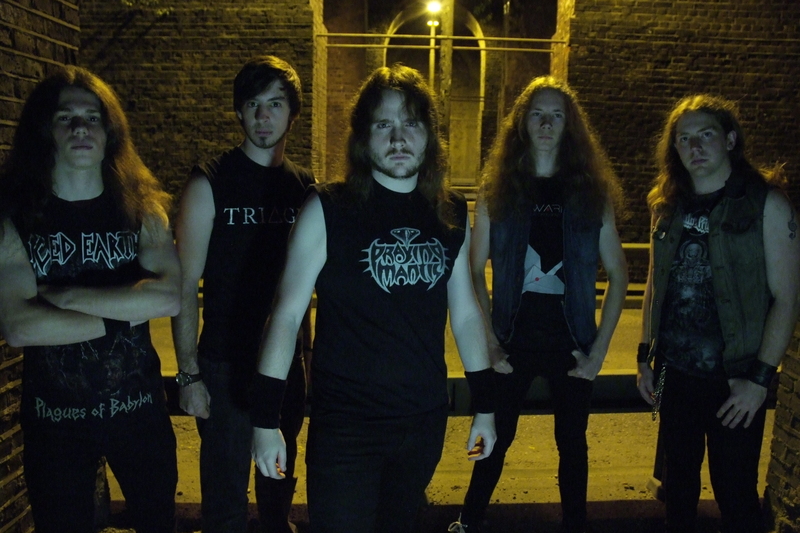 Another big moment in 2014 was having Saxon Davids join the band and subsequently becoming a 5 piece. Saxon had played in a local band called Entropy which had essentially split up before joining Kaine. He came on board for the tour with three days’ notice and one practice session and it’s fair to say he earned his place in the band and he’s enhanced our overall sound so much that the band continues to move forward in the right direction. 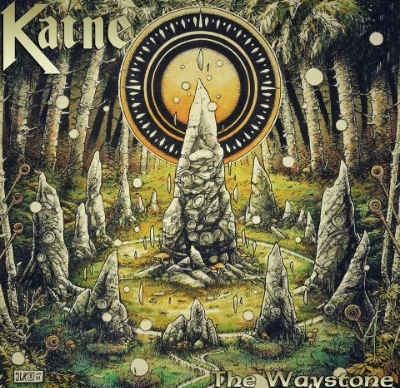 The Waystone’s release has been an incredible success for the band, firstly having sold out during the pre-order phase and the second run subsequently also selling out with the third well on its way to doing so. Although the album has been totally ignored by the mainstream Metal music press, the critical reception, and more importantly the feedback we have had from our fans has been amazing and beyond even our own expectations. We thank our producer Akis K for his part in bringing our sound up to speed and for all of his hard work on that record. Due to the demand we can confirm at this stage that next year will see the album released on Vinyl, but due to the costs of producing such a thing these will be limited to just 100 copies. We are working on a new album and the tracks are currently in the demoing phase as to when the new record will be recorded will be purely down to our financial situation. As ever with success there has come a number of setbacks such as having to leave record labels and work with a music industry that’s generally not in good health for a large majority of bands right now. Things are only going to get tougher as streaming starts to kill off downloading and revenues for labels and band’s become smaller still. We are optimistic for the future but are cautious about working with any potential labels due to the problems we have had and the very weak offers that have been tabled this year. We hope that 2015 will be even bigger, we already have been booked for Wildfire Festival (formerly Les-Fest in Scotland) alongside the likes of Tygers of Pan Tang and Holocaust and we hope to announce more as and when we can. Again we in Kaine thank everyone for their continued support throughout 2014. Thank you for coming out to a show, thank you for playing with us, for sharing your gear with us, for booking and promoting us, for doing the sound, reviewing our album, for playing us on your radio station and for buying our CD’s and shirts because without you, we would really be nothing.